Altered Instinct: GUEST BLOG: Author Brent A. Harris shares his thoughts on the process of writing. 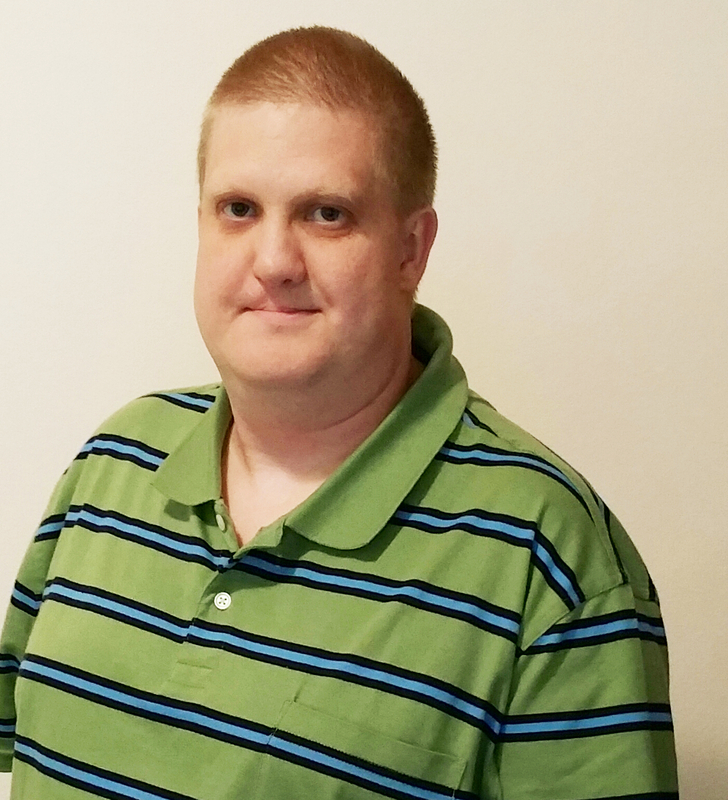 GUEST BLOG: Author Brent A. Harris shares his thoughts on the process of writing. Author Brent A. Harris writes a guest blog for Altered Instinct on the process that saw several friends encourage one another in their writing - and led to the publication of the debut anthology for Inklings Press. “That writing process went well…,” said no writer ever. Writing is difficult. As such, we’ve all had to create our own system, from staring down that blank page, to borrowing a fresh set of eyes for critiquing. Many authors have turned to support from others. Mary Shelley had her writing group, Tolkien had his. In honor of Tolkien, several friends from around the globe and I created Inklings Press, an Indy ebook publisher. I wanted to share with you who we are and what we hope to help you do. We are not hoping to become, “the next big thing". Instead, we are a niche group designed specifically for the aspiring writer, stuck on a page that’s going nowhere. We would like to help new writers break through the difficulties of the writing process in order to produce a short story, from conception to final revision, until it is ready for inclusion in a themed ebook anthology. That’s it. We are a simple group with a novel idea. Get would-be writers writing…and published. 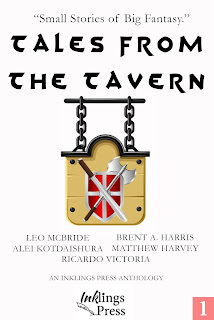 Our first Anthology, Tales from the Tavern, (available here: http://amzn.com/B014LCYGDE) has done just that. 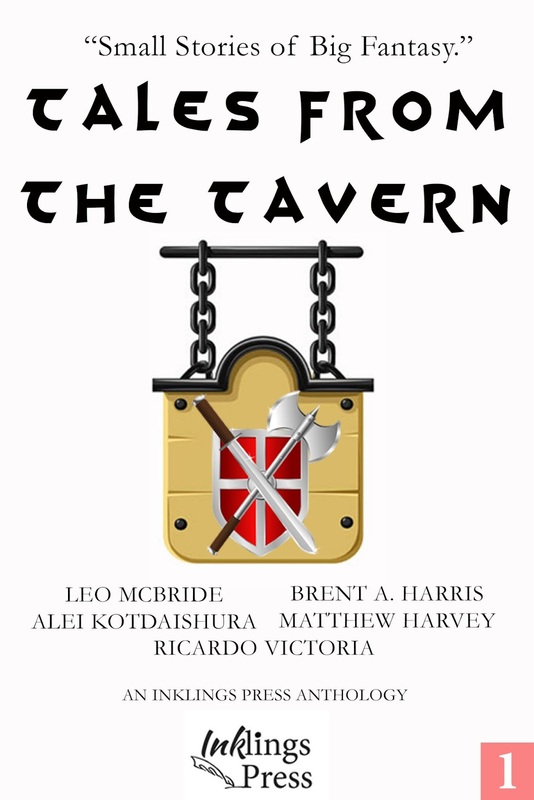 It features five fantasy stories from five fresh authors, including mine, A Bear Trap Grave. It’s both the culmination of a long ordeal and a first step into what we hope will be a long string of successful stories. Though I have been writing for many years, I’ve never forced myself out of my comfort zone of writing for a larger audience. I made a goal two years ago to start producing work, and now the first results are coming to fruition. Helping to create Inklings Press was a fulfillment of sorts of that goal, as was the completion of my first novel, A Time of Need, still in the end stages of tinkering. I found myself in the unique position of both needing help from others as well as being able to help other authors that were in the same position as me. Of course, I turned to my friends, Ricardo Victoria and Stephen Hunt and we all found ourselves wondering how we could use self-publishing to create content outside of our small circle of friends. Thus Inklings Press was created. Stephen Hunt, author Leo Mcbride, was already in the industry, so to speak. As an editor for a major newspaper, Stephen possessed the skills needed by all new authors — a keen set of eyes and a knack for improving upon the written word. His self-published, Quartet, was an instrumental experience in figuring out how to edit, compile, format, and import our Anthologies to ebook. Createspace and other programs will only get you so far. At the same time, Stephen is also a novel storyteller and was kind enough to include A Taste for Battle within our anthology. It reads like a film with fast paced action, witty dialogue, and a nice twist at the end. We are lucky to have Stephen guide us through our Anthology series. Matthew Harvey and Alei Kotdaishura, our guest and ‘new’ authors, hardly needed any help at all. We gave them a prompt — Tales from the Tavern, some guidelines…and they gave us gold. We are lucky to have them, and I think they might be sticking around for the long haul. So, as their experience grows, so too does the help they provide for our next batch of victims…er, writers. Matthew’s story, Battle of Veldhaven, is as close as you can get to an RPG in short story form. It’s an intense read with intense characters and an action-packed finale. And finally, Martha’s story turns every convention of story-telling on its head as she asks, “Do you really need to hear the truth?” Sometimes the truth isn’t nearly as fun as the fiction, in her debut, True Story. We hope you will not only enjoy our work, but also be excited by our mission and what we hope to achieve. We are already hard at work on our second anthology, Tales from the Mist, featuring new and returning authors, to release this October. Lastly, we hope to be taking submissions soon for our yet unannounced third anthology. If you are interested in learning more, or wish to write with us, please visit our website at www.inklingspress.com or connect with us on Facebook at www.facebook.com/InklingsPress or follow us on twitter at @inklingspress.